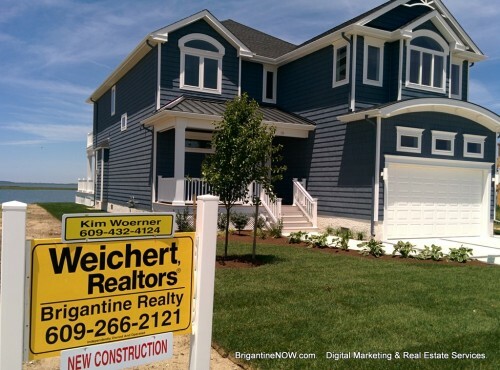 Weichert Brigantine Realty has more New Construction for sale than all the other Brigantine Real Estate companies combined. 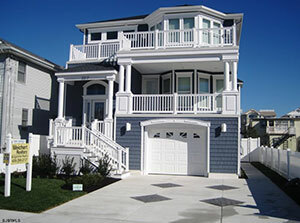 Brigantine offers the best Real Estate values on the Jersey Shore! NEW CONSTRUCTION by Woerner Custom Builders – SPACIOUS 2-Story home with many upgrades – FRAMING NOW – October -2015 Completion. This beautiful home will feature 4 Bedrooms, 2.5 Baths, with a REVERSE living floor plan. Offering 2700 square feet with a very OPEN FLOOR PLAN. 1ST FLOOR: 3BR, 2FB, Family room with a large Deck. 2ND FLOOR: Master Bedroom/Master Bath, Gourmet Kitchen, Dining Room, Family Room/Large Deck, Only 2 Blocks to Beach, Walk to shopping, and local restaurants. 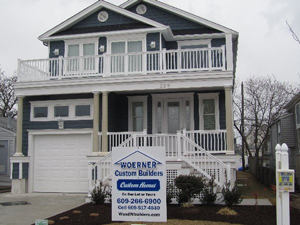 New Construction by Brigantine premier builder, Woerner Custom Builders. This 5 bedroom 3.5 bath home (3,813 Living Sq Ft) is located on the bay and directly across the street from the Brigantine Country Club. Boating and Golfing go perfect together…Go fishing i n the morning, walk across the street and golf in the afternoon. It doesn’t get any better.The home features 2 master suites with 2 large decks ( 1000 Sq Ft). The master bedroom on the first floor includes a private bath with walk in closet. The second floor master bedroom suite features custom closets, fireplace, Spa bathroom and large deck facing the water. The gourmet kitchen includes custom cabinetry, Pantry, Bosch stainless appliance package with granite counter tops, a must see…The lot size is 55′ X 200′ (1/4 acre) with the highest elevation (13’6″) on the Island. Flood insurance is not required for this property. The home also comes with a New Dock and Boat Lift. The sunsets are amazing! A Must see home. New Construction by Brigantine premier builder, Woerner Custom Builders. 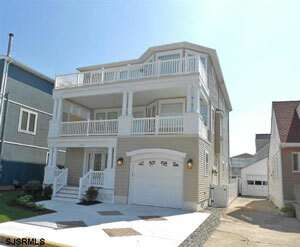 This 5 bedroom 3.5 bath home (3,813 Living Sq Ft) is located in the heart of Brigantine’s downtown. Short walk to the beach & all the local shops & restaurants. Featuring 2 master suites, 3 decks (794 Sq Ft) with Ocean views, gourmet kitchen with huge pantry, upgraded appliance package, granite counter tops, 2 fireplaces, tiled showers. 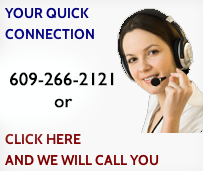 Total building Sq Ft, (4,936) must see home, plans available, model home available for preview. 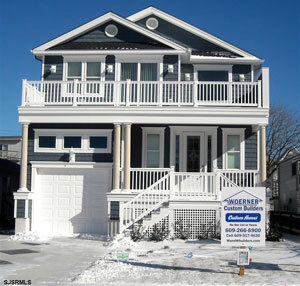 New Construction by Brigantine premier builder, Woerner Custom Builders. This 5 bedroom 3.5 bath home (3,813 Living Sq Ft) is located on the bay and directly across the street from the Brigantine Country Club. Boating and Golfing go perfect together…Go fishing in the morning, walk across the street and golf in the afternoon. It doesn’t get any better.The home features 2 master suites with 2 large decks ( 1000 Sq Ft). The master bedroom on the first floor includes a private bath with walk in closet. The second floor master bedroom suite features custom closets, fireplace, Spa bathroom and large deck facing the water. The gourmet kitchen includes custom cabinetry, Pantry, Bosch stainless appliance package with granite counter tops, a must see…The lot size is 55′ X 200′ (1/4 acre) with the highest elevation (13’6″) on the Island. Flood insurance is not required for this property. The home also comes with a New Dock and Boat Lift. The sunsets are amazing! A Must see home. 348 8th St. S Brigantine, NEW JERSEY 08203 – Direct Ocean Front with the best Ocean View in Brigantine! New Construction by Brigantine Premier Builder Woerner Custom Builders. This 5 Bedroom 3.5 Bath Home (3,813 Living Sq Ft) Short Walk to the Beach. Featuring 2 Master Suites, 3 Decks (794 Sq Ft) with Ocean Views, Gourmet Kitchen with Huge Pantry, Upgraded Appliance Package, Granite Counter Tops, 2 Fireplaces, Tiled Showers. Total Building Sq Ft, (4,936) Must See Home..Model Home Available for Preview. NEW CONSTRUCTION “ONE OF A KIND” 2900 sq. ft BEACH BLOCK to be built by Woerner Custom Builders. FABULOUS FLOOR PLAN, 5 bedrooms, 3.5 baths, 2 master suites, 2 car garage, 2 large decks with OCEAN VIEWS. 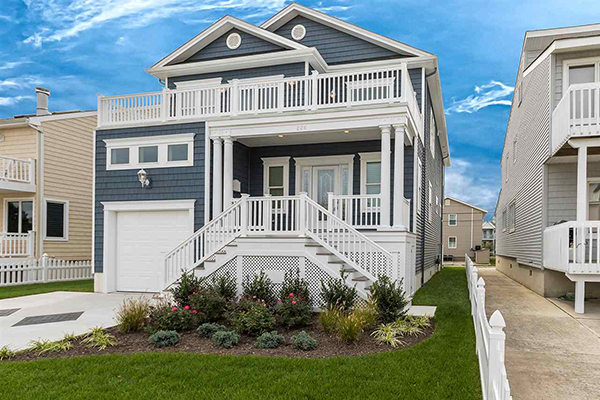 Built by one of the best builders in Brigantine with total upgrades. Plans available in listing office. NEW CONSTRUCTION by Woerner Custom Builders – SPACIOUS 2-Story home with many upgrades – FRAMING NOW – -Feb-2014 Completion. This beautiful home will feature 4 Bedrooms, 2.5 Baths, with a REVERSE living floor plan. Offering 3100 square feet with a very OPEN FLOOR PLAN. 1ST FLOOR: 3BR, 2FB, Family room with a large Deck. 2ND FLOOR: Master Bedroom/Master Bath, Gourmet Kitchen, Dining Room, Family Room/Large Deck, Only 2 Blocks to Beach, Walk to shopping, WAWA and local restaurants. 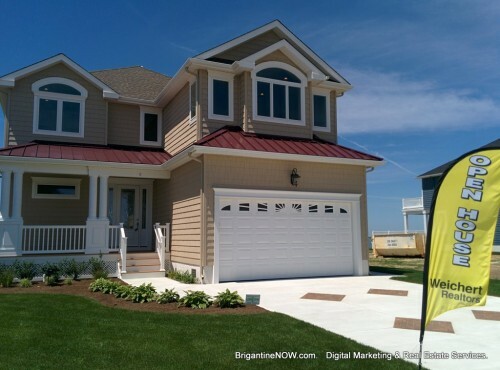 352 31st Street South – Brigantine, NJ New Construction by Brigantine premier builder, Woerner Custom Builders. This 5 bedroom 3.5 bath home (3,813 Living Sq Ft) is located in the heart of Brigantine’s downtown. Short walk to the beach & all the local shops & restaurants. Featuring 2 master suites, 3 decks (794 Sq Ft) with Ocean views, gourmet kitchen with huge pantry, upgraded appliance package, granite counter tops, 2 fireplaces, tiled showers. Total building Sq Ft, (4,936) must see home, plans available, model home available for preview.